It was super hot out today! It was in the 90’s! 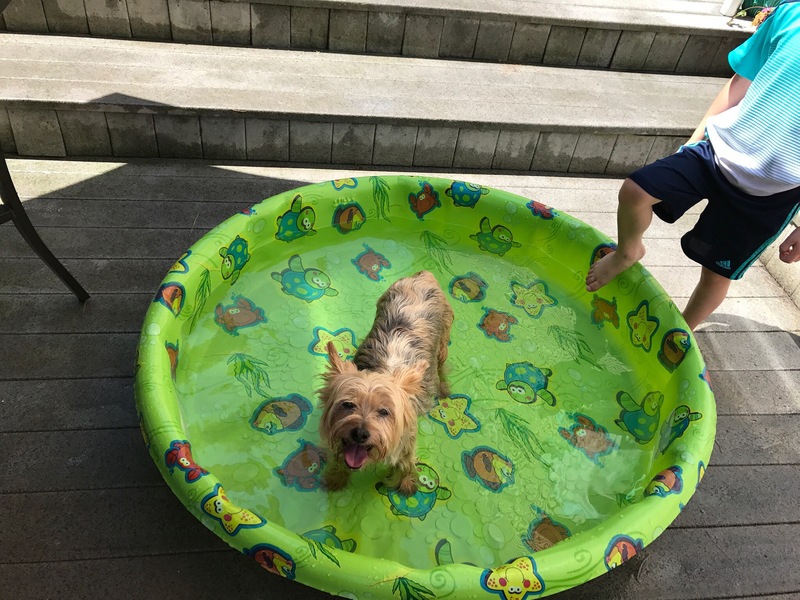 It was definitely a day for my son and the dogs to enjoy the kiddie pool. Chip loves to paws at the water and stick his snout in the water and blow bubbles. Harry loved the pool. He sat down and cooled of in it. Do your dogs enjoy the water?